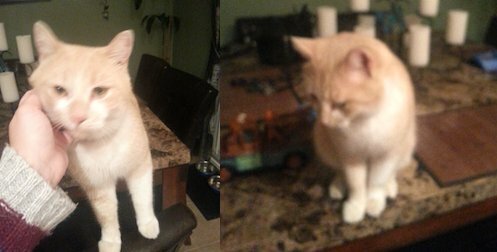 I lost my cat named Mickey in Ste-Rose, Laval. He is a cat that often goes out but he has always come back home. He is beige pale caramel and white. He was let out on Friday, January 22, 2016 and never returned. He is missed by me and my son. You can reach me at 450-937-7618 or 514-618-8085. Thanks very much. Next Post: Cavalier King Charles Spaniel found in Rosemont – home!